Some hymns have been translated, some can be sung with the same melody in both Latin and Italian. I also added some songs linked to the mystery of vocation to the priesthood and to the memories of Pastors, whose verses are inspired by biblical texts. In the texts of the liturgy of Pentecost, the Holy Spirit is the protagonist, the immense splendor of God, the creative energy, the breath of life, the uncreated Love that Easter blows from all over the world, renewing it with the grace and love. I wanted to insert two traditional melodies: In this collection I wanted to pick some that speak to us of the mystery of the Incarnation: This collection presents new orchestrations and presentations of beloved songs written by Marco Frisina and published originally in and The world needs now, more than ever, the love of Christ that cries out from the cross to the heart of every man with all his strength. 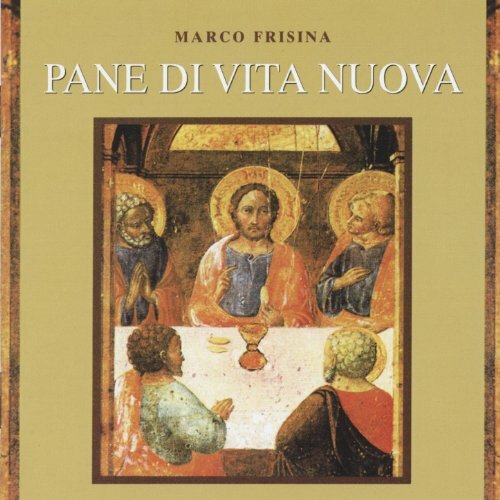 This collection of songs celebrates the Easter season and the Solemnity as composed and orchestrated by Marco Frisina. The Lord is the author of all beauty, is the light of all truth, for He nukva and everything shines. Each piece can be performed in different ways, depending on the capabilities and possibilities of choirs and individual performers. There are both more complicated songs and simple songs, designed for different choirs: In my nearly thirty years of priestly life, these texts have nurtured my spiritual life and have raised awareness of the beauty of the vocation. Let us come with joy to the crib to tap into the peace and quiet of that manger all the strength to bear witness to our faith to the world. We are the Church that lives the joy of Christ with His Baptism. I hope these songs can help the prayers of all those who will panne them and they can grow in their esteem and love for the priestly vocation. The final judgment, recounted in the Gospel of Matthew, presents us with the mystery of the presence of Jesus among us. It is a place of love and source of the Church’s life. The Church sings the face and beauty of the only Son of the Father whose infinite love led him to lay down his life for us. In these texts to the music, I wanted to express the various spirits of Christmas. We must offer it with the joy of our testimony, with the “hand” of our life capable of touching the heart and soul of even the most distant with the extraordinary power of Spirit of love and communion. These songs follow a route through the small Marian celebrations of the liturgical year, with particular attention to the texts of the hymns of the Liturgy of the Hours. As always, this proposal is part of the songs from the texts that the Liturgy and the Word of God offer us. This meeting is enough to fill your life, to fill the frisjna of men so that there is no longer need for other goods to be happy. This proposal aims to express the joy of Easter songs and the wonder of the believer before the beauty of the gift of the Spirit whose seven gifts fill our heart and brighten the face of the earth. All those who suffer, who are lost and confused, all those who have no other refuge but in God, in the Cross are grisina hope and their consolation where God offers forgiveness and reconciliation to the world as the giver of life and also for the one who destroys and rapes, where there reigned a king whose victory is made of forgiveness and love. In this album are collected 11 compositions by Marco Frisina. If not exhaustive with respect to his complete musical repertoire, however, it represents a summary of important titles already so appreciated by all his affectionate public, an audience that has no boundaries now. This collection is an invitation to contemplate this joyful infinite love of God for us that lights up our lives, even when it is immersed in the darkness of sin, bringing salvation, opening up before us the sea for us to enter into the promised land of Nupva. I believe, therefore, that it is nice to dedicate to him this new collection of songs that have used several texts drawn from both biblical prayers of the saints and used in the liturgical books. We sing this our faith full of enthusiasm and confidence, embodying the words of Christ, let us enter the great words of the witnesses of the faith who have preceded us, let’s make our way to becoming in turn reliable and happy witnesses. Even in today’s world, which seems so distracted and confused, the Cross has its full force painful and heroic, terrible and glorious, and resplendent with its light above the pettiness and sin as an eloquent sign of love without boundaries and without measure. These texts are most beautiful and most of all there is nothing more beautiful than to sing: Some classic texts of the tradition are restated, such as the sequence of the Solemnity of Corpus Christi, in a translation and adaptation that tries to explain, in simple language, the great theological content of the Latin text. Only love for God and for others authentically fills the heart of man with joy. The Holy Father has recently shown in the Marian prayer, especially the Rosary, one of the most powerful means to obtain from God the graces necessary and to implore his mercy to the world. We cannot hide the wealth that the Gospel of Christ gives to all men. The hymn to Mater Misericordia reminds us of the maternal intercession of the Virgin Mary, Mediatrix of grace and mercy, that is with us in everyday life and under whose mantle we can find refuge and comfort.